Wheat leaf spike. 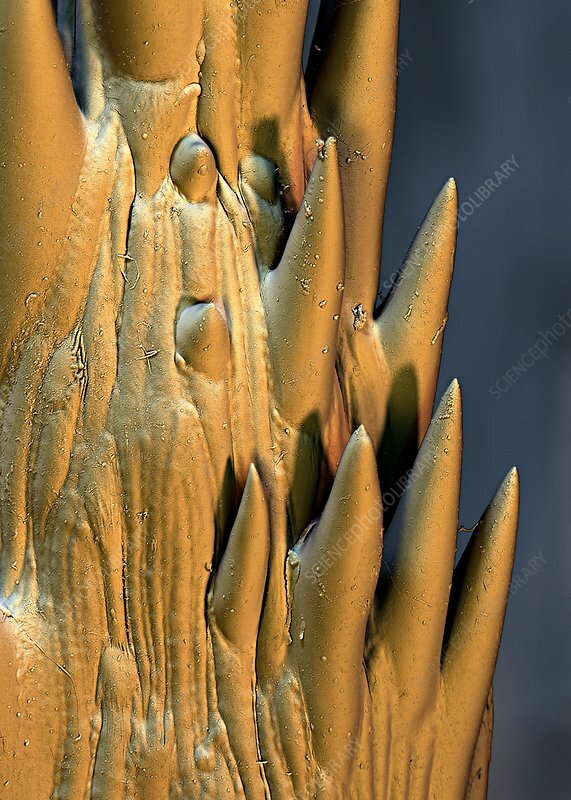 Coloured scanning electron micrograph (SEM) of the spiky tip of a leaf from a wheat plant (Triticum sp.). Wheat is one of the world's most important crops. Its grains are cultivated and harvested for their starch and other carbohydrates, used to make flour for products such as breads and pasta.